In only five months of operation, Treetop Adventure at Levi Jackson State Park welcomed nearly 6,000 guests, including visitors from 34 states and four foreign countries, year-end statistics show. Treetop Adventure opened to the public on June 29 and remained in operation until mid November, thanks to warmer than expected weather. The park is operated by City of London Tourism and was paid for by the city’s restaurant tax, which was implemented exclusively to fund tourism-related projects. It is the only municipally-owned aerial adventure park in Kentucky. Treetop Adventure proved itself as a tourist draw, with 57 percent of the 6,000 guests coming from outside London. They brought money into the city’s restaurants, hotels and other businesses as well. Thanks to the number of tickets sold, the park was able to pay for its staff, marketing and utilities. “Our plan was to develop a unique attraction that both residents and visitors could enjoy and that could also generate enough revenue to be self sufficient,” said Chris Robinson, executive director of City of London Tourism. The 16-person staff was a big reason the park was a success in its shortened first season, Robinson said. One of the goals for the upcoming season to is build a permanent office and bathrooms. The schedule is to open the park on weekends in late March or early April, if the weather is cooperative. Another goal is to assemble another high-quality, customer-oriented staff, Robinson said. The park currently is accepting reservations for Spring field trips, which is a great activity for school groups, youth/church groups and others. Treetop Adventure features five trails with 12 obstacles ranging in difficulty from beginner to advanced, for ages seven and up. The park was built by Outdoor Adventures, the country’s premier builder of aerial adventure parks. 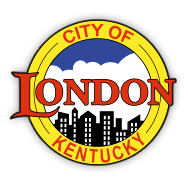 The City of London leases the property from Kentucky State Parks. For more information visit www.treetopadventureky.com or call 606-330-0501.